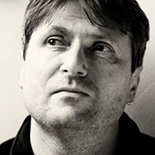 Simon Armitage (born May 26, 1963) is a British poet, playwright, and novelist. He has received numerous awards for his poetry, including The Sunday Times Author of the Year, a Forward Prize, a Lannan Award, and an Ivor Novello Award for his song lyrics in the Channel 4 film Feltham Sings. Kid and CloudCuckooLand were short-listed for the Whitbread poetry prize. The Dead Sea Poems was short-listed for the Whitbread, the Forward Poetry Prize and the T. S. Eliot Prize. The Universal Home Doctor was also short-listed for the T.S. Eliot. In 2000, he was the UK’s official Millennium Poet and went on to judge the 2005 Griffin Poetry Prize, the 2006 Man Booker Prize for Fiction and the 2010 Manchester Poetry Prize. In 2004, Armitage was elected a Fellow of the Royal Society of Literature and was appointed Commander of the Order of the British Empire (CBE) in the 2010 Birthday Honours. He is a vice president of the Poetry Society and a patron of the Arvon Foundation. important. Now go to sleep,” she said. But I was restless. close to the truth. Like the other day with the weed killer. of water from the glass on the bedside table. “Frank, listen. every last quicksilver coin into her purse. the wind at my back, I strode forth. "As far as I can tell, there..."